The Polish biochemist Casimir Funk (1884-1967) invented the term vita amine in 1911, which means food. He talked about vital amines because he thought all vitamins had a protein structure (amine). Vital amines quickly became vitamins. It was discovered in the first half of the 20th century that food contains certain substances that are essential for the preservation of good health. The so-called Vitamins. The word is a combination of the Latin vita (= life) and amine (= nitrogen-containing compound). It later became known that not all vitamins contained nitrogen, but the word vitamin was already generally in use. Vitamins can be classified into fat and water-soluble vitamins. A figure was assigned to the water-soluble vitamins each time a finding of a vitamin was made. If the substance later turned out not to be a vitamin, it was deleted again. That also explains the gaps in the series of water-soluble vitamins. Vitamins are active organic substances that occur in small quantities in natural foods. They have a specific function in special cells and tissues in the body. Vitamins can not or only to a limited extent be formed in the body itself (also applies to essential fatty acids and proteins). Vitamins often play the role of co-factors in many enzymatic processes. Enzymes are substances that accelerate chemical reactions in the body. In 1941, guidelines were formulated for the recommended daily requirement (= ADH). These were calculated on the occurrence of severe, then known deficiency diseases and were calculated for an entire population; not for the needs of an individual. How Healthy is an Apple? Read all the Benefits! The calculation does not take into account individual needs (factors such as lifestyle, illness, sport play a role). However, it is also not taken into account that many factors play a role in the availability, absorption, functioning and breakdown of vitamins. The ADH, therefore, does not give an optimal intake for an individual. What is the maximum safe amount = the highest level of the intake where no undesirable effects on human health are seen? Roughly no more than 100% of the RDA for vitamin A and D and the minerals and the rest no more than 500%. For orthomolecular doses, the individual, illness or complaints and (unique) circumstances are taken into account. A person who is ill can have much higher needs for certain vitamins than someone who is healthy. In summary, in many cases, the ADH is too small a size that is not even achieved by many people! There are 13 vitamins; nine water-soluble vitamins and four fat-soluble vitamins. The fat-soluble vitamins are vitamin A, vitamin D, vitamin E and vitamin K. The fat-soluble vitamins are mainly in the fat of foods and can be stored in the tissues of the body. The water-soluble vitamins are vitamins B1, B2, B3, B5, B6, B8, B11 (folic acid) and B12 and vitamin C. These vitamins are precisely in the moisture in food. The body can not correctly store these water-soluble vitamins (except vitamin B12); an excess leaves the body through the urine. If your daily diet is that of Primal Nutrition, you will in principle receive enough vitamins. Just short the daily diet according to the nutrition is not refined sugars, no milk products, no carbohydrates from bread, pasta etc. However, more proteins and (healthy) fats and much more vegetables and fruits eat and not eat all day. Because then there must be enough vitamins in our food. 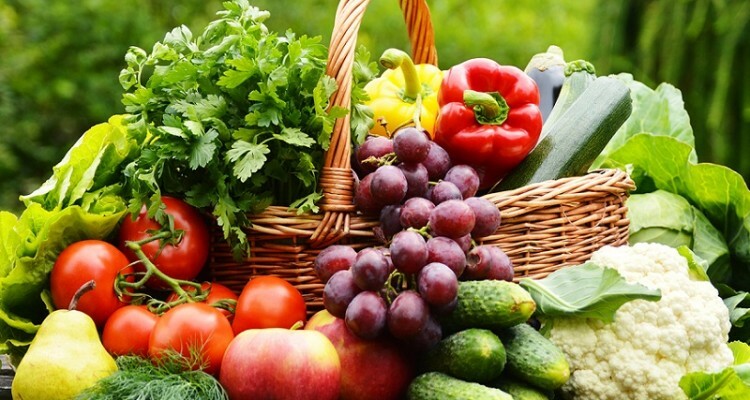 Fruit and vegetables get their vitamins and minerals from the ground. Because of the intensive use, many agricultural lands contains only a few minerals and vitamins (see also Blog post “Organic food healthier or not?”). Also, much fruit is already picked before it is completely matured and it is precisely in this last phase that the vitamins are made by the sun. So if orange is picked before it is ripened and then “matured” in a cold cell for 4 months in the dark, the additional sum is quickly made that this orange contains fewer vitamins.